Craft and Music Activities that Stimulate and Entertain Seniors Helps Maintain Small and Large Motor Skills! Many retirees enjoy hobbies, whether it's reading, painting, playing music, completing puzzles, or working with clay or wood. Craft and musical activities are one of the best ways to stimulate and entertain seniors during all phases of the aging process. Games, crafts and musical activities help engage the mind, stimulate brain cells, help maintain eye and hand coordination and keep seniors involved in social interactions that bring pleasure and prevent boredom. Singing even boosts the immune system! By adding children to the mix, in tandem with the Jazzles ELA resources, retirees now have the opportunity to share their skills, knowledge and wisdom for the serious benefit of helping children of their carers to escape the long-term poverty trap. Interacting with children not only brings great joy, but creates a sense of pride and achievement - as well as the personal benefits of promoting thought processing, continued concentration and motor movement. It really is a win-win scenario! Here's why creative arts feature so prominently in Jazzles ELA resources and why it matches perfectly with the aims of the 'Jazzles Academy'. 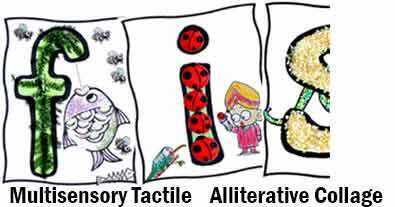 "Those in multisensory environments always do better than those in unisensory environments. They have more recall with better resolution that lasts longer, evident even 20 years later," says the New York Times review of the 2008 Best Seller, 'Brain Rules -- 12 Principles for Surviving and Thriving at Work, Home and School' by Dr. John Medina. A child was having difficulty recalling the initial sound 'c' in a word. 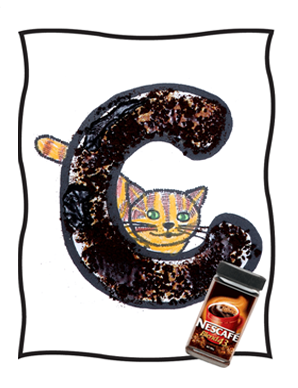 Having previously collaged the Jazzles CRAFT page for the letter 'c' with instant coffee, she was able thereafter to recall the sound by remembering her experience of smelling the coffee! "We've created a cool, clever, coffee 'c'' Now, what other foods do you know that start with 'c'? I'm feeling like a 'chocolate, candy coated cup cake' and a chilled cocoa cinnamon drink right now!" As you can see, creativity with music, art, craft and performance, plays an important role in how Jazzles engages student diversity to enrich literacy and deliver intuitive learning with superior early literacy outcomes. 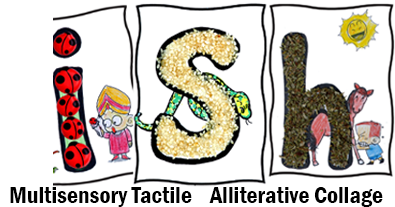 In this simple example of an alliterative collage, letter activity, involving a child of staff and a resident retiree, you can envisage how Jazzles applies the senses of sight, hearing, taste, touch and smell - for learning. In this case, the benefit is developing a child's letter-name knowledge and phonemic awareness skills in tandem with alliterative vocabulary through conversation. So, in one simple exercise, a retiree is helping a child, probably from a low-literacy background, acquire three of the most powerful skills that predict later reading success - letter-name knowledge, phonemic awareness and vocabulary development. Now, with the 'Jazzles Academy', everyone involved in age-care can benefit. And perhaps, the greatest beneficiaries of all are the residents who will now be able to keep active with a sense of purpose. Importantly the 'Jazzles Academy' will help them participate meaningfully in crafts to maintain their eye-hand coordination, fine motor skills, interests, and the stimulation of brain cell development to enhance their quality of life.